Paul T. Keyser | Weiss Law Office, S.C.
Paul T. Keyser is the founder and principal of Claimsattorneyconsultants.com which was founded in 2013. On September 1, 2017, Mr. Keyser became associated with Weiss Law Office, S.C. and now performs all his consulting services and legal work solely through Weiss Law Office, S.C. The majority of his experience has been in the insurance industry and in the Corporate Law Department of Johnson Controls, Inc. where he handled complex claims litigation, complex claims management, insurance coverage review, and declaratory judgments. At Shand Morahan and CNA for 8 years he handled professional liability claims made against architects and engineers. His work involved extensive analysis of AIA contractual provisions involving architects, owners, general contractors, and subcontractors. Mr. Keyser also handled claims involving a newly created environmental insurance policy. 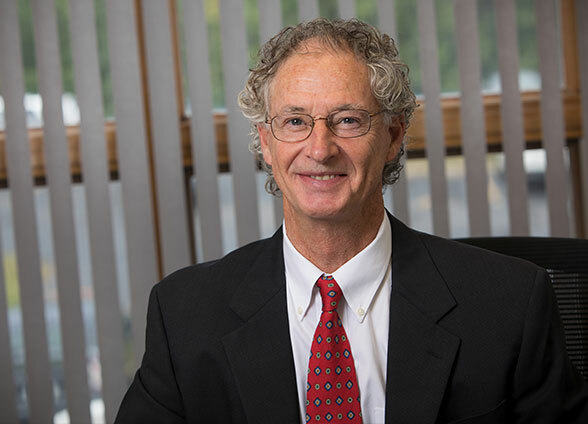 Mr. Keyser spent seven years handling national environmental insurance claims arising from general liability policies issued by Wausau, Nationwide, and Scottsdale Insurance Companies. His work in this area involved complex insurance coverage issues related to expected and intended loss, sudden and accidental loss, the total pollution exclusion, choice of law, and other coverage issues. Mr. Keyser also worked for Travelers Insurance Company handling subrogation claims arising out of settlements in property policies for a large loss subrogation unit. In his first year, he recovered a unit high of $1,000,000 in recoveries on his assigned files. Most recently, Mr. Keyser worked for 3 years in the Corporate Legal Department of Johnson Controls, Inc. handling products and liability claims under an internal TPA program for construction claims arising from its building efficiency divisions involving chillers, rooftop units, and other construction services performed by JCI. Mr. Keyser’s broad legal and business background together with his experience in the insurance industry and the corporate law department of JCI provide him with a unique viewpoint in providing professional services as an attorney or administrating TPA related services. Mr. Keyser’s new association with Weiss Law Office, S.C. affords him the opportunity to work with attorneys, paralegals, and other support staff to provide the most effective and efficient service to his clients.